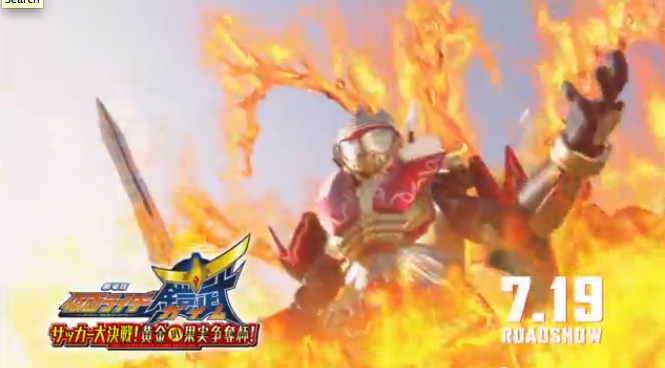 Here is the latest TVCM for the summer movie Kamen Rider Gaim: The Great Soccer Playoffs! The video showcases Kamen Rider Mars' first transformation using the Golden Apple Lock Seed. In Kamen Rider Gaim, the characters are place into a warring states era where football is king. The days where Kouta has to fight Invess day and night are long past him. A teenager boy named Lapis asks Kouta 'What happens when you lose? Do you get your life taken?